So lately I have fallen back in love with reading and I have discovered some really inspiring and life changing books. 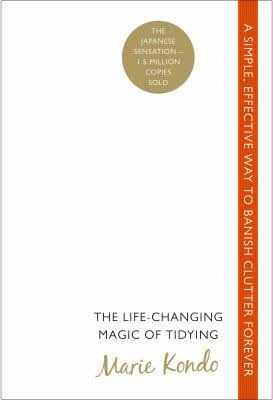 As you can tell from the title I’m going to talk about The Life Changing Magic of Tidying Up by Marie Kondo (The KonMarie Method). This book has literally changed my life. For the past year and a half I have been following the minimalistic way of living. I have cut down on my possessions and my way of living has completely changed i.e what I eat, what I wear, how I live. I used to be one of those people who used to accumulate things because I thought that they would make me happy. I got to a point where I literally became a hoarder and ran out of living space and became embarrassed to have people over at my house. This was really my breaking point. All the things that I had accumulated (mostly shoes) were not making me happy anymore, instead the clutter was actually causing me stress and making me very anxious and unhappy. I couldn’t buy more things because there was nowhere to put them so I had to look for something else to make me feel ‘happy’. Around this very same time when I was looking for something to make me happy, I discovered the world of minimalism. I started watching youtube videos, reading books and blogs on minimalism and I couldn’t believe or understand how these people had fulfilling lives with less things. I decided to give minimalism a go and one thing I have come to realise is that it’s not even about having less things, it’s about only having the things that you actually love, use and that bring you joy. I didn’t love my possessions, I didn’t use most of them and they most certainly didn’t bring me joy anymore so they had to go. One thing I love about the KonMarie way is that the book doesn’t tell you how many things you need to keep to be happy or what it is that you should get rid of. Instead it tells you to follow how you feel about something. Mind you, this is not just about material things, it could be your job, your friends, anything. Clutter can disguise itself in so many ways. This book has really helped me to confront a lot of issues in my life and honestly I highly recommend it. There is so much I could say but I don’t want to make this post any longer than it already is but hopefully you found this interesting and get the book, it might change your life too.